Kitchen Sink Cookies Recipe | Oatmeal, Butterscotch, Toffee & More! These Kitchen Sink Cookies are the best of all the cookie worlds! They have a lovely light caramelized flavor to them and are full of all my favorite mix-ins! If you’ve never had the Kitchen Sink Cookies at The Fresh Market, you are kind of missing out. I’m not sure I’ve even tried their other cookies because I can never resist these. 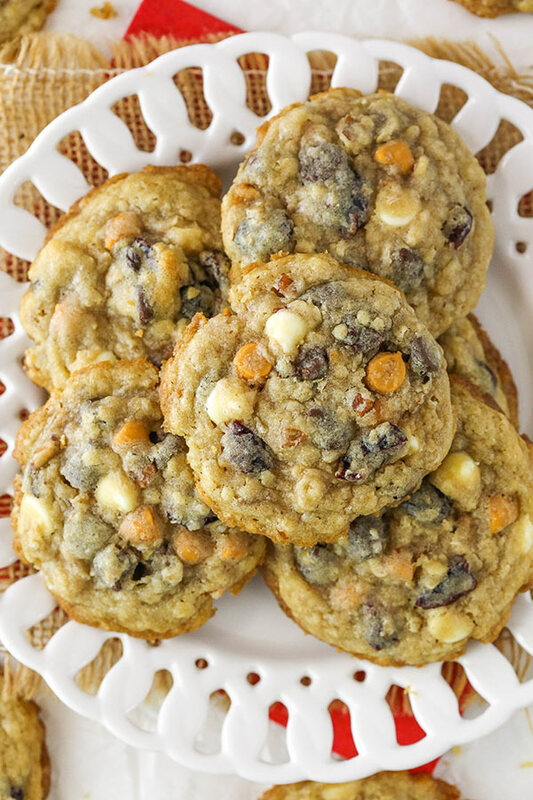 Part of it is that they are one of the few cookies out there that are easy to purchase fresh at the store and that have white chocolate chips and butterscotch chips in them, which I LOVE. They are also chewy and full of so many other good things, you really don’t miss out on anything. It’s like 5 cookies in one! But sadly there’s not a Fresh Market that’s terribly close to us. It would really be out of the way to get to and these days I need convenience. So now I can make them at home and so can you! I won’t say these are exactly the same as the ones at the store. Those are definitely thinner and different in texture. 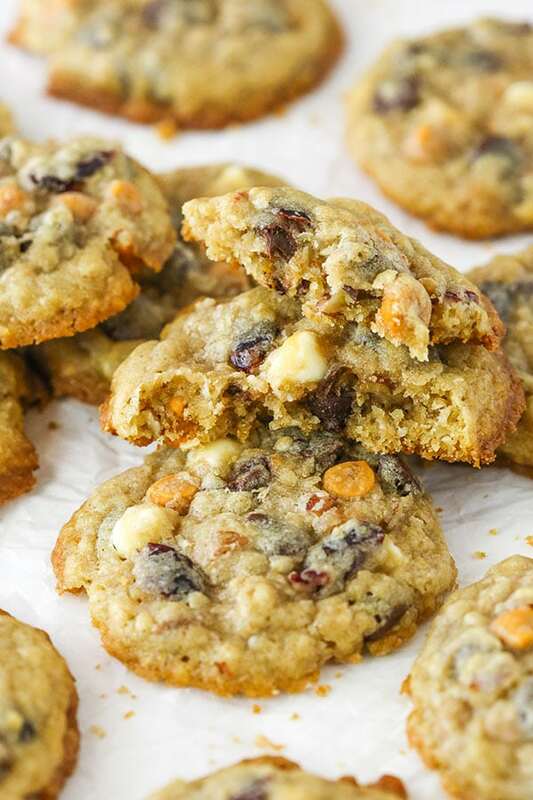 But these are right on for flavor – including the caramelized flavor that the brown sugar gives the cookies. To make them, you start by creaming the butter and sugars. I used a good bit of brown sugar in these cookies to add that deeper flavor and you definitely don’t want to leave it out. Yes, the cookies will still be fine, but not as intended. Brown sugar is the way to go! Next up are some of the usuals – an egg, vanilla and your dry ingredients. Then it’s time for the fun part! 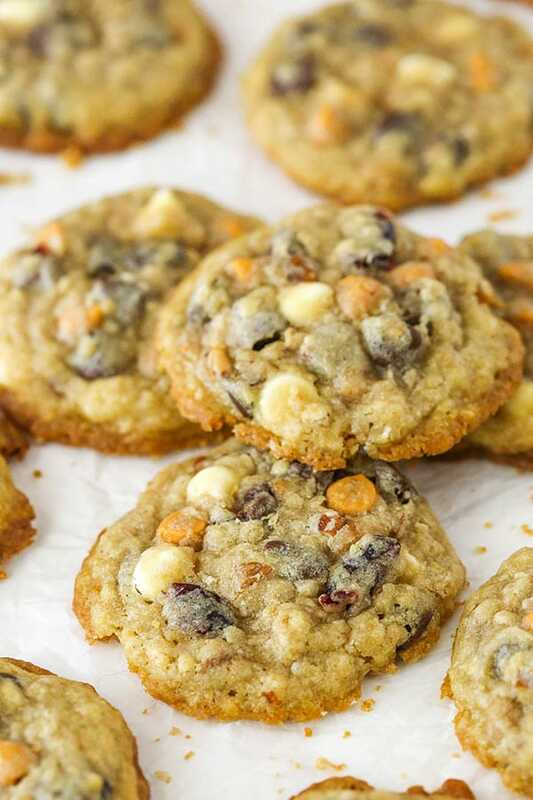 You could really add just about any mix-in to these cookies, but these are some of my favorites that make these most resemble the Fresh Market ones. Raisins and dried cranberries – I love oatmeal raisin cookies and cookies with cranberries – toss ’em both in! All the “chips” you can eat – chocolate, white chocolate and butterscotch. You could play with the amounts if you have one flavor you like better than another. 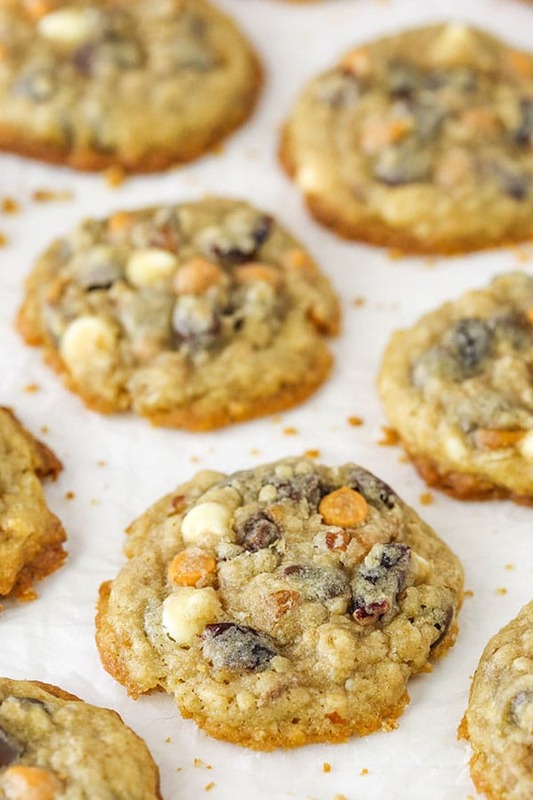 The toughest thing about these cookies is refrigerating the dough. I don’t always refrigerate cookie dough because I like the ease of just baking cookies right up and devouring them. 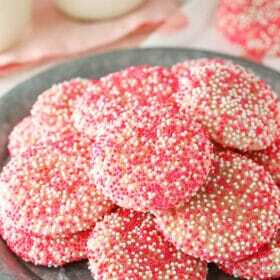 But there are some cookies that genuinely benefit from refrigerating before baking and these are one of them. With so things coming together into one cookie, the flavors really develop during the refrigeration. The caramel-y flavor of the cookie isn’t as present if you don’t refrigerate the dough first. You’ll even notice a little difference in the color of the cookie – they are darker when refrigerated. One thing I like to do sometimes when having to refrigerate cookie dough first, is to get the hard work out of the way and make the balls of dough and then refrigerate. Then when you’re ready to bake them, just pop ’em in the oven. Keep in mind that how cold the dough is when it goes into the oven can affect how much the cookie spreads. I like the dough to be chilled, but not cold, so that the cookies still spread but not too much. These cookies are irresistible with lightly crisp edges and a soft, chewy center. A great crowd pleaser too – they’re almost guaranteed to have a little something for everyone! Kitchen Sink Cookies are the best of all the cookie worlds! They have a lovely light caramelized flavor to them and are full of all my favorite mix-ins! 1. Preheat the oven to 350°F (176°C). Line a cookie sheet with parchment paper or a silicone baking mat. Cream the butter and sugars together until light and fluffy, about 3-4 minutes. 6. Add the egg and vanilla extract and mix until well combined. 7. In a separate bowl, combine the flour, baking soda, baking powder and salt. Add the dry ingredients to the butter mixture and mix until well combined. 8. Stir in the oats, then add your mix-ins and stir until evenly distributed. Refrigerate the cookie dough for at least 5 hours and up to 3 days. 9. Make balls of cookie dough about 2 tablespoons in size. 10. 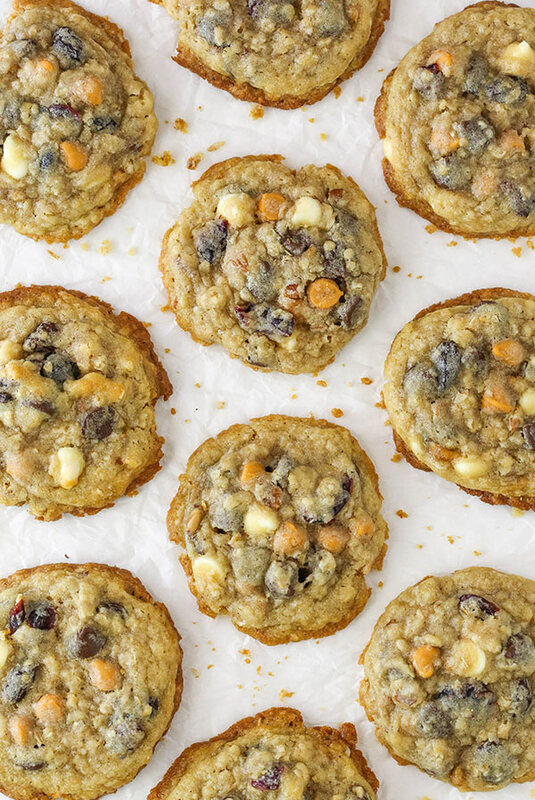 Place the balls of cookie dough onto the lined cookie sheet and bake for 10-12 minutes. Cookies will spread a bit and may look a little undercooked when you remove them, but they’ll continue to cook and firm as they cool. 11. Remove the cookies from the oven and allow to cool on the cookie sheet for 3-5 minutes, then remove to a cooling rack to finish cooling. 12. Once cooled, store cookies in an air tight container for 3-5 days. White the cookie dough doesn’t have to be refrigerated before baking, I 100% recommend it for a better cookie. The flavor and texture of the cookie is much improved. They are darker and better flavored cookies. That’s wonderful to hear! Thanks Debbie! The Power of the word: When we speak we generate in the mind of the listener the images that represent the words. I think these cookies should be called differently, without reminding you of the kitchen sink. Just finished making these for an impromptu barbecue. I made the batter in the morning and just baked them this afternoon. I should have read the directions more closely… Your recipe says it makes 24 cookies and I have four dozen LOL ! 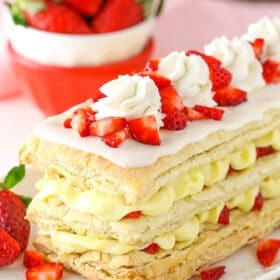 Thank you again for yet another delicious recipe!!! I’m so glad you are happy with them! They should be good to freeze for later, if you can’t quite get through all 4 dozen. I made these for the office and they came out wonderful. Except I baked mine in a countertop oven so they did not spread as it would in a normal oven. Mid way in the baking I used a spoon and pressed them a bit. This gave them a real cookie look. Thanks for a fantastic cookie recipe. Hi Lindsay. 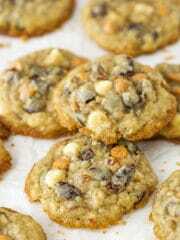 I’ve made these cookies many times with different add ins and everyone loves them. But I’m wondering how come my cookies don’t flatten out like yours does and why are they not as chewy? Mine seem more cake-like and firmer (I have to cook them longer to get them crispy). I’ve tried refrigerating them and not refrigerating them. I’ve even smashed them down a bit rather than cooking them as balls. But they still are not flat like yours. Please advise. And thanks for your recipes and helo. I’m glad to hear you’ve enjoyed them! It’s so hard to say from a distance why you’re having that result. Are you weighing your ingredients – perhaps something is off a little? I also sometimes think differences between ovens can make a difference. Lindsay, I had the same issues as the other review. Exactly the same! They’re still great cookies but mine are dry, dainty look like yours at all. I’ve tried the same things as the other reviewer. My cookie batter seems dry. I don’t think it’s proportions. I feel like something is missing. Maybe another egg? Or maybe the butter is off. I don’t usually measure it by the cup. Maybe8 oz is not 1 cup? Thanks! Hmm, hard to say – could be any number of factors. 8 oz is one cup of liquid – not necessarily the same with butter. I’d use the gram measurements that are provided to be more accurate. It could also be the way other ingredients, like the flour, are measured. I also find a darker cookie sheet tends to be a little better. I wonder if it has anything to do with using parchment papier!